DUBOIS—Dubois isn’t new to True West Magazine’s top lists. This year, the gateway to Wyoming’s Wind River Country from Yellowstone was named True West’s Best Architecturally Preserved Town. The February 2018 issue of the magazine, which hasn’t hit racks yet, raves over Dubois’ downtown atmosphere and rich, Wild West history. The cowboy town was included in 2008, 2010, 2011, and 2012 issues of True West. Dubois, located just over the Continental Divide from Yellowstone National Park, is a glimpse into the true Wyoming, where heritage is cherished and community is central. Travelers will find authentic experiences for all ages, ranging from Friday night rodeos and Tuesday night square dancing all summer long to cozy welcomes at lodges for snowmobilers fresh off the Continental Divide Snowmobile Trail. Pick up the magazine in February to preserve your 2018 as your best vacation in the West. 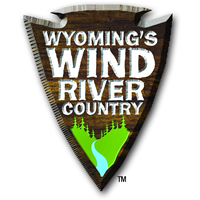 Use #windrivercountry to share your photos. Wyoming’s Wind River Country is the authentic, untamed West. It holds secret places that call to your curiosity. It holds the answers to your adventurous spirit. Come to Fremont County/Wind River Country and discover new things. Find the only way to Yellowstone. Find adventure—ride a horse, see an Indian powwow, holler at a rodeo, pan for real gold, hike in country that will take your breath away. Find the pace to think, the room to breathe, and the uncontrived adventure to rejuvenate your soul in Wind River Country.